Life Coaching "Whoo hoo" but do you maybe need to find a life coach? Life Coaching “Whoo hoo” but do you maybe need to find a life coach? Considering to find a life Coach? Everyone has that moment in life: You’re faced with a decision and you don’t know what to do. You recognize that you need help – after all, how can you expect to choose the right path if you don’t have any guidance? For most adults, learning how to cope with the stressful situations life throws at you doesn’t stop at childhood. In many cases, we’re left pondering our life decisions well into our 30’s, 40’s and 50’s. While we may have been raised to believe that graduating high school or college would lead to a new era of knowing everything, many of us didn’t realize how heavily we relied on the structure of grade school to get us through life. And while your 20’s are seen as a decade of experimentation, it still seems daunting to make decisions that we know will deeply impact our future. That’s why we turn to Life Coaching. While it’s important to have a support system of friends and family, most of us also need an objective third party to help us develop the life we deserve. Although it seemed to have busted onto the scene in the 90’s, Life Coaching actually started gaining traction as early as the 70’s and has continued to grow since. Now, it’s an accepted form of counseling and a lucrative profession. But what exactly is Life Coaching and how can you tell if it’s for you? Should I find a Life Coach, what is Life Coaching and what do they do? There are many different methods to Life Coaching. Each Coach follows their own brand or strategy for helping their clients. But the gist is the same across the industry. Life Coaching is a partnership between a Coach and a client to help a client become their best selves and live their best life. In many cases, a Coach guides their clients to find their own truths, which uncovers their inner desires. Once that desire has been discovered, the Life Coach acts as a motivator to keep their client on the right track for achieving their goals. The client (that’s you!) starts out with a goal they want to achieve or a problem they want to solve. They have the desired outcome in mind, but the map to get there is blurry. In some cases, even the destination is hard to see for the client. The Life Coach, through the work of conversations, questions and gentle prodding, can help their clients decode the map and destination, helping them find their best outcome. Any life coach will admit – in terms of science, the methodology seems a little squishy. That’s one of the many reasons that Life Coaching has been shunned for so long – it’s often viewed as a form of ‘hugging it out’ while opening wallets. However, it works. Sometimes, people need an objective view to see what they should do to become a better worker, a better partner, a better friend. And, like an athlete, you wouldn’t want to enter a big game without the expert guidance of your coach, right? Well, consider your life the Olympics. A common misconception about Life Coaching is that it’s designed for people whose lives are falling apart. That could be a semantical error – coaching does have the connotation that it’s helping people through life, something that’s seemingly simple. After all, who needs help to live? Well, that’s where the mistake begins. When it comes to Life Coaching, the objective isn’t to simply live. It’s to help others live their best lives. We can all exist, but the decision to excel at living is what drives most people to seek outside help. To draw on the sports comparison again, even great athletes still need a coach. Your life doesn’t need to be falling apart in order to consult a Life Coach. In fact, the majority of Life Coach clients are fully functioning members of society who have experienced success and, for all intents and purposes, seem to have everything in order. But, they want to achieve more and need some help to get there. Now, the reasons to opt for Life Coaching vary from person to person. A wide range of Life Coaching categories are available that touch on every aspect of life, from personal to professional to social. Some people seek a Life Coach for assistance with a specific project. Others may need an overhaul on their self-sabotaging habits. Even corporations will turn to a Life Coach to help their employees perform better. The possibilities for Life Coaching are limitless, so you can really come up with any reason to turn to a Life Coach. But, if you really want to know if it’s for you, just ask yourself this: Am I living my best life? Can I do something more? What is the odds? Could Life Coaching Work For Me? If you’ve been considering investing in a Life Coach, there may be one concern that’s holding you back: Will it work? For as long as Life Coaching has existed, skeptics have been quick to call it a crock since results aren’t guaranteed. In that sense, they are completely correct – but that’s because your Life Coach has no control over your outcome. Your results from Life Coaching depend completely on you. The synergy of Life Coaching relies on both the Life Coach and the client. Your coach can hand you the tools to a better life, but it’s up to you to use them. It’s very similar to the “Teach a man to fish” mentality. 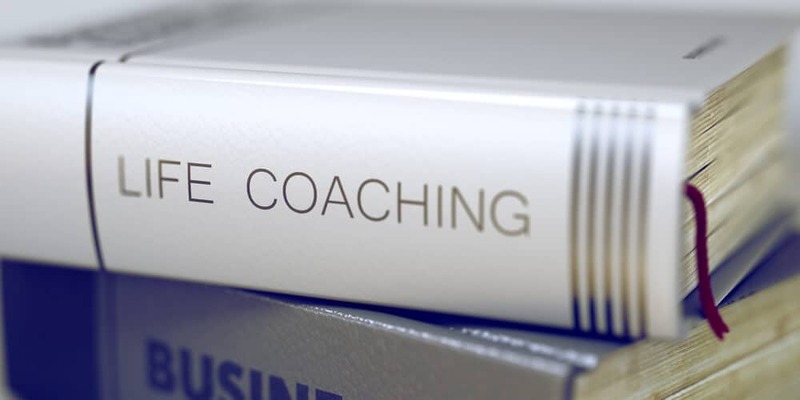 Unlike expert consultation services, in which you’re hiring an expert to do the work for you, Life Coaching is more like learning a new skillset to combat obstacles to your success. Your Coach helps you discover what you want and coaches you through the steps to get there. What that entails is between you and your coach, but you can’t expect the results to last if you only absorb their teachings during your weekly or monthly sessions. What you should be doing is taking what you learned during those sessions and applying them to your life. It may seem scary at first, but that’s what Life Coaching is. It helps people push their boundaries and step outside their comfort zones in order to achieve something remarkable. Prepare to feel a little out of your element or awkward as you start to explore your Life Coach’s advice – no one said it’s going to be comfortable. But once you push through, you may amaze yourself at what you can achieve. Having that said, there are many tools your Life Coach can help you develop in order to stack the odds of success in your favor. Each one has been proven to be effective at implementing change for individuals. As with many goals, you may start out with the best intentions. But once you hit a snag, can it can be difficult to regain your focus and carry forward. Life Coaches are there to help get you back on track and, as with anything, a little accountability can do wonders. When you think of the word “coach”, it may bring to mind images of a sweaty gymnasium and someone barking orders at you from the sidelines. While that’s an apt description, it only paints part of the picture. Life Coaches are seen as partners, which isn’t what the word “coach” implies. However, think back to any experience you’ve seen between an athlete and a coach. Isn’t the coach there to motivate and train their athlete? Don’t they provide guidance and exercises that hone the athlete’s skills? Doesn’t their expertise and prodding help the athlete reach their optimal performance? That is much more like the role of a Life Coach – they may not be able to play the game for you, but they can get you to play it at your best. Once you decide to consult with a Life Coach, the structure is fairly simple. In many cases, you will meet with a coach to determine if you’re a good fit for each other. For obvious reasons, you want to make sure you are working with someone you vibe with. You’ll have to speak with your Life Coach often during this journey, so you need to be sure you at least like each other. Once you’ve found a good fit, it’s time to get to work. In many cases, clients touch base once per week with their Life Coach during hour-long meetings or phone calls. Typically, Life Coaching works best with weekly calls so you have an opportunity to apply your new practices and gather questions and ideas for your next session. During your sessions, your Life Coach will lead you through personal development through conversation and questions. Unlike social banter, conversations with your Life Coach are extremely focused and specific to your goals. Both parties are invested fully within the conversation, and there is a lot of preparation that goes on for both sides prior to your meeting. In many cases, clients will submit a coaching plan before their weekly call, to outline their current objectives, goals or challenges that they want to discuss with their Coach. This pre-planning plays an important part in the client’s ability to focus and prepare for their conversation, while giving the Life Coach an opportunity to strategize ways to make their meeting as effective and powerful as possible. Likewise, the conversation between Life Coach and client is often fueled by questions. Coaches tend to steer clear of making statements and giving advice – that would be doing the work for you. Instead, they gently prod with questions designed to make you think and unlock your inner desires, fears, views and inspirations. The goal of these questions is to raise awareness of what the client wants – something that cannot be unlocked with a series of statements. Life Coaches try to gently nudge you to uncovering truths for yourself, so that you are better equipped and aware of your goals moving forward. Expect many quizzes and homework while working with a Life Coach. Life Coaching has a number of theoretical origins. Many studies have been dedicated to the effectiveness and methods of Life Coaching. And while every Coach may have their own means to extract greatness from their clients, many operate under the same philosophies that often show up in their practices. Many coaches focus on strategizing ways for their clients to find success. Their weekly meetings are almost like a brainstorming session to come up with concrete goals that help their client take things to the next level. It’s a pretty accepted philosophy that accountability leads to success. People are less likely to fail if they feel they have someone depending on them. While your Coach may not be the reason you’ve started your journey to a life goal, they can motivate and inspire you enough to keep up the hard work. Not to mention the time and money you spend on a Life Coach is a strong motivating factor to succeed as well. Unlike therapy, Life Coaching isn’t designed to fix you. Coaches believe that you have everything you need to succeed within your self. They are just there to help you tap into your natural resources and find your inner greatness. Coaches understand that you’re not going to always strike gold with their methods. As with life, many coaching strategies rely on trial and error. If something isn’t working, they believe that it’s important to try something else. There is always a solution if you are flexible enough to find it. If it happened once, it can happen again. Coaches help you find instances where others have performed well, or they will have you draw on success from your past, that you can model your actions after in order to achieve excellence. Just like with sports, a Life Coach can’t do the work for you. They can provide you with tools, guidance, exercises and resources, but at the end of the day it’s up to you to find success. You are in charge of your own mind and your own results. If you can’t change your circumstances, then change yourself – your coach is there to help you figure out how. Although Life Coaching has been around for a few decades, there are still plenty of misconceptions surrounding the practice. It seems like there has to be more to it than simply coaching others to lead their best lives, so many people try to apply other concepts that make sense to them. For this reason, Life Coaching tends to be compared to things like therapy, consulting, sports coaching or speaking to a best friend. However, there are key differences that clearly show Life Coaching as completely separate from these other practices. Life Coaching is often mistaken for therapy, which is understandable. Any time someone seeks outside help to deal with an internal struggle, it often involves some form of therapy. However, Life Coaching and therapy are not the same. For one thing, therapy focuses past traumas or issues from the past. Life Coaches are not psychologists or psychiatrists. Instead, Life Coaching is about focusing on the present and the future. Not much of your history is explored during Life Coaching sessions, but rather the issues that you are experiencing now and how you can overcome them to make your future better. In most cases, if you start seeking help from a Life Coach but are suffering through an unresolved trauma, your Coach may advise that you seek therapy in order to heal. Moving forward is difficult if a past issue or trauma is holding you back. Once the issue is resolve, your Life Coach will be better equipped to help you achieve success. Life Coaching is not designed to fix people, but rather guide them to their best life. Life Coaching is considered a form of consultation, however it’s a different form than what most people think when they hear the word “consulting”. Consulting usually consists of hiring an expert to advise you on a specific issue. For example, if your company needed assistance with marketing, you may hire a marketing consultant that would create and implement a marketing strategy for you. Life Coaches do not consider themselves experts. Instead, they are life specialists who can provide ways to help you fully develop your professional and personal life. They also are unable to do the work for you, unlike some consulting services. They may provide some guidance and experience for the situation, but ultimately it’s up to you to make the changes. When you hear the term “coach”, sports is often the first thing that comes to mind. And we use many of the same principles in Life Coaching that you will find in sports – we’ve drawn plenty of comparisons so far to make that clear. However, there is a key difference that most Life Coaches will agree with. Sports are built on competition – Life Coaching is not. There is no scoreboard for life and a Life Coach would never have you compare your success to someone else’s. That’s often a recipe for reduced self-esteem and failure. Instead, they advise that you should be your own competition and they will help you win at your own life! Many skeptics would point out that Life Coaching is like paying for a best friend. After all, you turn to close friends and family members when you have problem – that’s only natural. However, your friends and family can’t always provide an objective, no-nonsense point of view when it comes to your obstacles or weaknesses. In many cases, our loved ones tend to be supportive to a fault. They may not want to tell you the truth as much as they would like or question your decisions in fear of hurting your relationship with each other. While it’s essential to have a strong support system in order to achieve success, the role between you and friend versus a Life Coach is very different. They both provide support in different ways, and you can rely on your Life Coach to give it to you straight without questioning if they may be sugarcoating your weaknesses. And on a final note, why limit yourself? Having a best friend and a Life Coach will yield even better results for reaching your goals. Your best friend will celebrate your achievements with you. Your Life Coach will get you there. Here is a list of coaches I have either read or follow and who share their advice and knowledge. Your life will change in some way or form if you indulge into their teachings. Life Coaching sounds miraculous and in many ways, it is. With the help of Coach, you can achieve things you’ve never thought possible – and quickly. If you’ve been putting off writing a book until retirement; or trying to go up for that promotion at work; or just want to find ways to feel more fulfilled, a Life Coach could be the answer you’re looking for. But remember, it isn’t easy – you will have to be willing to put in the work. Fortunately, a good Life Coach will make it feel like a walk in the park. So, if you’re at a crossroads in your life or are just feeling stuck, reach out to a Life Coach today. It could be the next step to your best life.